With the end of the NASL regular season, IMS takes a look at some of the top young, up-and-coming players who are 24 years of age or younger and who MLS should be inviting into training camps in the offseason. 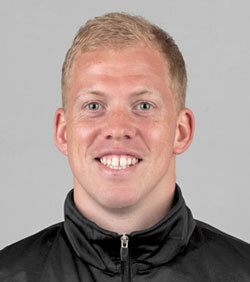 Real Salt Lake drafted this young goalkeeper in 2011 but then released him without ever signing a contract. Perhaps that’s the best thing that could have ever happened to Attinella. While other keepers may be lingering in reserve league matches, Attinella now has over 4,970 significant minutes logged in as a number one goalkeeper at the age of 24 in the second tier of American soccer. That’s the equivalent of over 55 games where he has been tested and come up big — playing through a playoff run and winning a national championship. He accomplished this without the best defense in front of him. 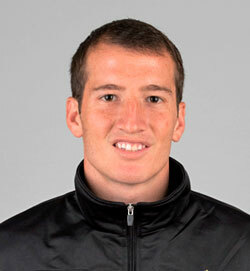 In the 2012 season, he turned away more shots than any other goalkeeper in the NASL with 142 saves. His performance in the second leg of the NASL Championship match was not the exception but the norm for this outstanding goalkeeper who made 3 penalty kick shootout saves. If not for the exceptional year San Antonio’s Pablo Campos had with 20 goals scored, the young Attinella would have won the league’s MVP award voted on by soccer journalists across the US and Canada. Attinella came in just a few votes short of Campos. Attinella was also chosen by the NASL Coaches as a Best XI member. 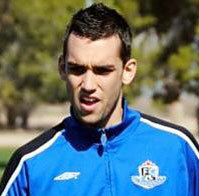 Anderson signed with Ft. Lauderdale in mid-March after showing well in the NASL Combine. The Englishman from Durham played college at Division II Barry University between 2008 and 2010. In three seasons he scored a total of 38 goals and racked up 28 assists in 53 appearances. He was named 2011 Daktronics DII National Soccer Player of the Year and 2011 Capital One Academic All-America of the Year for DII men’s soccer. So perhaps we shouldn’t be so surprised that the 23-year-old who spent time in Sunderland’s youth system was third highest goal scorer in the NASL this season with 11 goals and 3 assists in 1,788 minutes played. Midway through the season Anderson was scoring a goal every 128 minutes but his goal prowess slowed when his team pulled him back to midfield after teammate Walter Restrepo went out with an ACL tear. Anderson hit a number of highlight reel-type goals this season and he became known as a deadly free kick taker. He was also deadly from distance and has the ability to create his own chances with little space from outside the 18-yard box. Anderson was also a member of the NASL’s Starting XI. 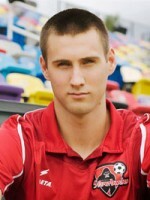 Considering Matt Horth played on an Atlanta Silverbacks team that finished 2011 dead last with a record of 4-20-4, the rookie pro did well to finish the year with 8 goals and 1 assist as a 22-year-old. The Silverbacks didn’t do much better in the first half of 2012 until they brought in coaches Eric Wynalda and Brian Haynes who turned things around and led the team to a 7th place finish with a 7-12-9 record. However, Horth was there the whole while pushing his team along. By season end the second-year pro had 10 goals to his name elevating him into the number 4 spot in the NASL for goals scored. The 6 ft. 3 in. Horth has the size and muscle to play up top as a target player but can also turn the ball and dribble at goal and finishes well under pressure. 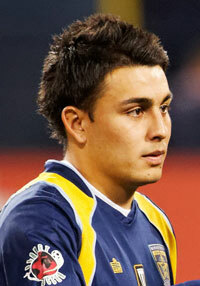 Having successfully spent his final two years of college at UC Irvine, Ibarra was drafted by the Portland Timbers in the 2012 MLS Supplemental Draft, 27th overall. But the MLS side released him which was a gain for the Minnesota Stars where he scored 3 goals, had 4 assists and logged in 2,044 minutes in the 2012 regular season. He also asserted himself in the Stars’ postseason run through the finals, starting in all 5 matches and scoring 1 goal and collecting an assist. Although his numbers were not bad for a rookie, Ibarra’s statistics do not tell the whole story. The 5’7″, 150 lb, 22-year-old has been a driving force in Minnesota’s success this season. Ibarra started out in coach Manny Lagos’ offense from the opening game at outside midfielder because of his blazing speed with the ball at his feet. But as the season progressed they dropped the young midfielder into a position just behind the forwards. There, he generally caused havoc on opposing teams’ defense. Often when dribbling directly at goal he has been, in one way or another, involved with many of the Stars’ goals this season. His motor is always revved up and his work ethic, which goes from the first to the ninetieth minute, will make him a player to be looked at by MLS. 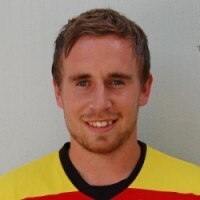 Another young member of the NASL’s Best XI, this Preston, England native has set himself apart as one of the more dynamic players in the league with his late season play for Minnesota in 2011 and his full season with the Rowdies in 2012. He came to Minnesota late in 2011 after wining the USL PRO’s Rookie of the Year with the Wilmington Hammerheads and was up for the league’s Most Valuable Player. After doing well for the USL PRO side, Mulholland helped the Stars through the last of their regular season in ’11 recording one assist and then scored 2 more goals on their run to the NASL Championship. This year he recorded five goals and five assists in the regular season and 1 goal and 1 assist in the Rowdies’ playoff run to win the NASL Championship, the only player to play on both of the leagues’ first two championship teams. Mulholland is comfortable with the ball at his feet and reads the game well, making excellent off the ball runs. 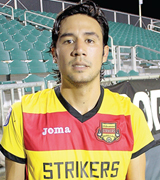 In 2012 Restrepo entered into his second season for the NASL side, Fort Lauderdale Strikers. In 2011 he started emerging as a young playmaker for his team even though he was just 23 years of age. In 2012 coach Daryl Shore gave him a starting position and the attacking midfielder bloomed playing as the set up man, creating 8 assists and scoring 6 goals himself. But his season came to abrupt halt in mid-August when he tore his ACL in training. Restrepo’s vision is outstanding and he reads the game well for a young player. He was regarded so highly by the NASL coaches that they named him to their NASL Best XI, despite missing the final 2 months of the season. It’s hard to believe that Shaun Saiko is only 22 years of age. He conducts himself as a player much older, much wiser when playing the attacking midfielders position. This Canadian born player spent time in Middlesbrough’s youth system and has now logged in 49 appearances for the Eddies. In 2011 he was tied for 6th in the NSL for goals with 9 and added 5 assists. In 2012 he had 7 goals 6 assists despite lagging behind in minutes from the ’11 season after oddly being benched by coach Harry Sinkgraven and being played out of position most of the season. It’s telling that Sinkgraven was let go and Saiko was kept. Surely an MLS side must take a look at Saiko in the offseason.